We think its mandatory for our guests to have proper check in and check out facility .Thus, guests not only feel the comfort inside the room to roam around, but they also can feel safe and worth relying on bringing their own vehicles. We have provided a parking area just behind the entry section of the hotel. We keep account of each of the vehicles that is taken inside and out of the parking area. We believe in making the entire journey hassle free. 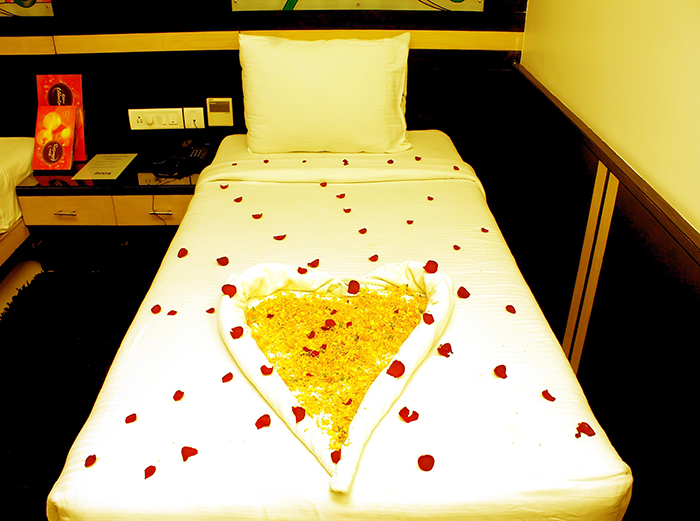 Hence, we facilitate our guests with pick and drop facilities. We have arranged Airport transfer facility to pick them at the time of arrival and drop them at the airport when they are about to leave the place. We provide the shuttle service to visit the place they are staying now. As various religious places and some places to hangout are there, it really allowed us to feel privileged to take our guests for a tour of the entire city. We offer our own shuttle service to our guests only. Its quite natural that Guests may feel physically uncomfortable after conducting a tiresome journey. Even, some of guests feel it uneasy to adjust to the new place and its surroundings and become sick. Thus, we have arranged Doctor on Call service to provide basic treatment for our guests. This service helped our guests to rely on us, being one of our facilities. Apart from other amenities, hospitality depends on hygiene that helps to gain customers' trust. To form a business, anyone can give hospitality in exchange of lump of money, but only those who maintain hygiene please the guests and retain them. Whether to believe or not, a washroom, a lobby or plate to serve food, all are the storyteller of how you maintain hygiene. Fully equiped with fire fighting system A fire alarm system is number of devices working together to detect and warn people through visual and audio appliances when smoke, fire, carbon monoxide or other emergencies are present. Only available in suite rooms Jacuzzi (Italian pronunciation: [ja kuttsi]) is an multinational corporation that produces whirlpool bathtubs and hot tub spas. We have this too but only in Suites. We maintain basic level of security being complied with rules of regulation regarding privacy and criminal offense. We have cameras at different areas of hotel with under belly vehicle mirrors and metal detector. Some other facilities have gone beyond the convention to meet the luxury and demand of our guests. We have arranged magnifying mirrors, minibar, tea/coffee makers, work desk. Digital Satellite TV, Wi-Fi, 24 hours room dining, facility of front desk, in house travel desk, and in house laundry.